Last week we had said that the Sensex has support at 16,600. If this support is breached, we may see another round of sell-offs, all the way down to 15,500. Indeed, the Sensex tried to rally on one day of the week, but by Friday it had hit a low of 15,725. Over the week, the Sensex shed 567 points. We expect the market to rally to about 16,500 and possibly to 17,000 before pausing or going down again. We shall see when we get there. Even though the manufacturing sector grew at its fastest pace in almost 18 months in January 2010, Indian markets struggled throughout the week. Sovereign debt problems in Europe and an unexpected rise in US jobless claims raised fresh concerns over global economic recovery. 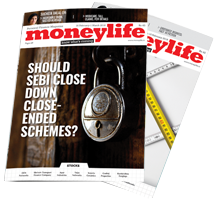 On Monday, the Sensex declined 2 points to close at 16,356 while the Nifty was up 18 points at 4,900. As per data released by the government, India’s exports rose an annual 9.3% in December to $14.60 billion, the second consecutive rise after 13 straight months of decline. Imports rose 27.2% from a year earlier to $24.75 billion. Exports for April-December, the first nine months of the 2009-10 fiscal year, were down 20.3% at $117.59 billion from the same period in the previous year. The HSBC Markit Purchasing Managers' Index (PMI), based on a survey of 500 Indian companies, rose to 57.7 in January 2010, its strongest reading since August 2008 and up from 55.6 in December 2009. The new orders’ index rose to 62.9 from December’s 60.1. India’s manufacturing sector grew at its fastest pace in almost 1-1/2 years in January 2010, boosted by a sharp rise in new export orders that underpinned a recovery in the industrial sector, the survey showed. On Tuesday, 2 February 2010, the Sensex declined 193 points to close at 16,163 while the Nifty closed at 4,830, down 70 points. Indian companies raised about $20 billion from share sales in calendar year 2009. The government has targeted raising Rs25,000 crore in the fiscal year ending March 2010 by selling stakes in state-run companies. D Subbarao, governor, Reserve Bank of India (RBI), had for the first time on Monday stated that the nation may have to take some measures towards capital control. Mr Subbarao also said that it is important for the government to withdraw the stimulus and that the government and central bank would have to coordinate in withdrawing the same. He reiterated that the economy is back on the growth path and added that the challenge is to accelerate momentum. As per US media reports, the ISM manufacturing index for January hit a five-year high of 58.4, stronger than the expected 55.5. Personal income and spending rose, while construction spending fell 1.2% for the month of December. On Wednesday, 3 February 2010, Indian markets gained momentum on strong response to NTPC’s follow-on public offer (FPO) and robust services sector data for January 2010. At the end of the day, the Sensex surged a massive 333 points from the previous day’s close to 16,496 while the Nifty closed at 4,932, up 102 points. During trading hours, the government’s chief statistician Pronab Sen said that the data suggested that industrial recovery in the country was on track, but the government would wait for the March 2010-quarter economic data before taking a call on exiting stimulus measures. The HSBC Markit Business Activity Index, based on a survey of 400 Indian firms, rose to 58.96 in January 2010, its highest since September 2008, on sharp increase in new work orders after rising to 57.41 in December 2009. On Thursday, 4 February 2010, the Sensex closed at 16,225, down 271 points from the previous day’s close, while the Nifty declined 87 points to close at 4,845. Housing Development Finance Corporation (HDFC) declined 3% after the RBI announced that it would disallow non-banking finance companies (NBFCs) and housing finance companies (HFCs) from resorting to short-term foreign currency borrowings. During trading hours, government data showed that food inflation rose to 17.56% in the week ended 23 January 2010 from 17.40% in the previous week following rising prices of potato and pulses. The inflation for primary articles, which includes food and non-food items, marginally eased to 14.56% in the reporting week from 14.66% in the previous week. The fuel price index rose 5.88%. On Friday, 5 February 2010, the Sensex declined massively by 434 points from the previous day’s close, ending the day at 15,791, while the Nifty declined 127 points to end the day at 4,719. As per an International Monetary Fund (IMF) report, India’s economy is one of the first in the world to recover and the central bank should take a gradual approach to ensure that the recovery reaches its full potential. The IMF sees the Indian economy coming back to potential by 2010-11 to log 8% growth from the current year’s 6.75% in contrast to the government’s projection of more than 7% and the Reserve Bank of India’s latest forecast of 7.5%. As per reports, China’s GDP growth is expected to reach 11.5% in the first quarter while the pace of the consumer price index’s rise could accelerate to about 2.5% compared to a year earlier. China posted full-year GDP growth of 8.7% for 2009 while the quarterly rate accelerated to 10.7% in the fourth quarter from 9.1% in the third and 7.9% in the second. As per data released by the US government, initial jobless claims rose by 8,000 last week to a seasonally-adjusted 480,000 against economists’ expectation of a drop of 10,000. According to data released by EPFR Global, emerging market equity funds lost $1.60 billion in weekly withdrawals, the biggest outflow in 24 weeks, as earnings and Greece’s debt woes raised concerns that the global recovery may falter. The report also stated that investors withdrew $516 million from Asian equities outside of Japan in the week ended 3 February 2010. Meanwhile, within Asia, China equity funds reported net outflows for the fifth time in six weeks while Indian funds lost $180 million, the most in 68 weeks, the report added. Is a short term bottom near? Indian markets slipped again for the second day on the back of weak global cues. Rocketing sovereign debt problems in Europe and an unexpected rise in US jobless claims raised fresh concerns over global economic recovery. The Sensex declined massively by 434 points from the previous day’s close, ending the day at 15,791, while the Nifty declined 127 points to end the day at 4,719. Yesterday we had said, “Check out 16,100 for support. If this level is breached, we may see a sharp downfall.” And the markets behaved accordingly. From here on, we expect Indian bourses to make a bottom at 15,500. But if the market continues breaching this level, then get ready for another sharp decline. At 11:00 hrs IST, the Sensex was trading at 15,865, down 360 points from the previous day’s close. However, at 14:00 hrs IST, the Sensex was trading down 464 points from the previous day’s close at 15,761. At the end of the day, sugar stocks declined massively after sugar prices dropped in the local market due to higher supply at stockists and tightening of norms by the government against bulk industrial users. Bajaj Hindusthan and Shree Renuka Sugars were down 7% and 5% respectively while Balrampur Chini Mills was down 1%. Sun Pharmaceutical Industries fell 1% on reports that the Supreme Court of Israel had debarred the company from acquiring further stake in Israeli drug firm Taro. Ranbaxy Laboratories slumped 5% after the US drug regulator reportedly asked the company to immediately assess whether its plants making drugs for the US market meet the required standards. Venus Remedies has received yet another good manufacturing practices (GMP) approval from Ethiopia’s Drug Administration and Control Authority (DACA) for four of its facilities. However, the stock was down 4%. Sumeet Industries has received an export order for polyester chips of Rs20 crore from Egypt. The stock was up 3%. Dishman Pharmaceuticals and Chemicals announced that a USFDA team has successfully completed inspection of Dishman’s EOU facility situated at its Naroda works, Ahmedabad, and approved the facility for API production for the US market. The stock was up 2%. During the day, Asia’s key benchmark indices in China, Hong Kong, Japan, South Korea, Singapore and Taiwan were down by between 1.87%- 4.30%. On Thursday, 4 February 2010, the Dow Jones Industrial Average fell 268 points while the S&P 500 and the Nasdaq Composite dropped 34 points and 65 points. In premarket trading, the Dow was trading 35 points lower. As per data released by the US government, the initial jobless claims rose by 8,000 last week to a seasonally adjusted 480,000 against economists’ expectation of a drop of 10,000. Meanwhile, the European Central Bank (ECB) and Bank of England (BOE) kept interest rates at record lows at 1% and 0.5% respectively on Thursday as financial markets looked for aid on growing euro-zone debt problems. According to data released by EPFR Global, emerging market equity funds lost $1.6 billion in weekly withdrawals, the biggest outflow in 24 weeks, as earnings and Greece’s debt woes raised concerns that the global recovery may falter. The report also stated that investors withdrew $516 million from Asian equities outside of Japan in the week ended 3 February 2010. Meanwhile within Asia, China equity funds reported net outflows for the fifth time in six weeks while Indian funds lost $180 million, the most in 68 weeks, the report added. The basic strength of the Indian Inc in terms of sensex is between 12000 to 15000. 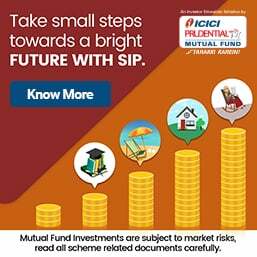 The Indian Stock Market is a captive of FIIs so much so that the MFs so much the beloved damsels of the HNIs were scared for months, kept sitting on piles of cash and are now facing depletion of assets value leaving the MF investors, numerically huge- thanks to Section 80C of the IT Act-in a state of near paralytic coma.